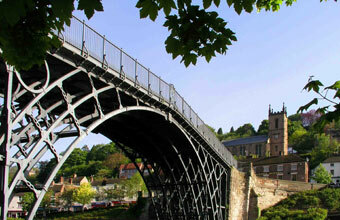 IRONBRIDGE Gorge has beaten off stiff competition to be named the 2012 most highly recommended UNESCO World Heritage Site in the UK, according to the TripAdvisor traveller community. It also takes second place in the world behind the Historic Ensemble of the Potala Palace, Lhasa, China and ahead of the Egyptian Pyramids and India's Taj Mahal. More than 1.1m traveller feedback forms were collected in partnership with UNESCO, making this the largest study of its kind ever conducted. Professor Les Sparks, chairman, Ironbridge Gorge World Heritage Site Steering Group said: "This is a worthy tribute to the warm reception visitors receive from local businesses and residents of the Ironbridge Gorge, which complements the exceptional beauty and history of the area."